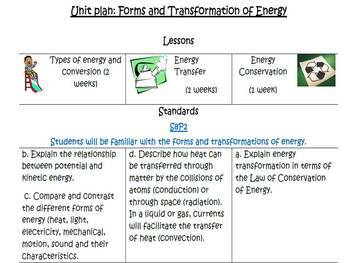 The unit guide provides a comprehensive guide throughout the unit that lasts one month. The unit is aligned with Georgia physical science standards. 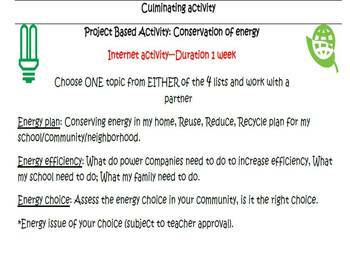 It includes suggested class activities, lesson's vocabulary, laboratory investigations, project based learning (culminating) activities and resources. 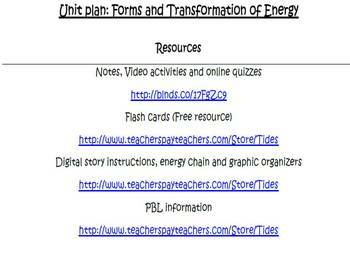 Forms and transformation of energy unit plan with resources by TIDEs is licensed under a Creative Commons Attribution-NonCommercial-ShareAlike 3.0 Unported License.